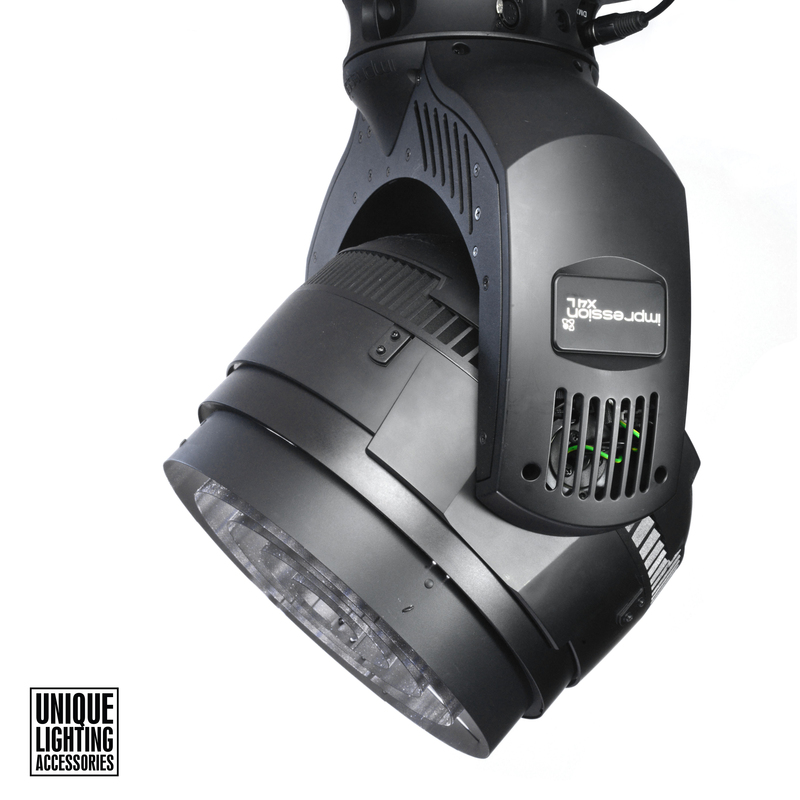 When space is at a premium, such as on moving lights hung in a tight rig, Concentric Rings are often the designer's first choice for beam control. Concentric Rings deliver 45° cutoff for full control of stray beams and spill, like a full Top Hat, but they do it in a shorter device. 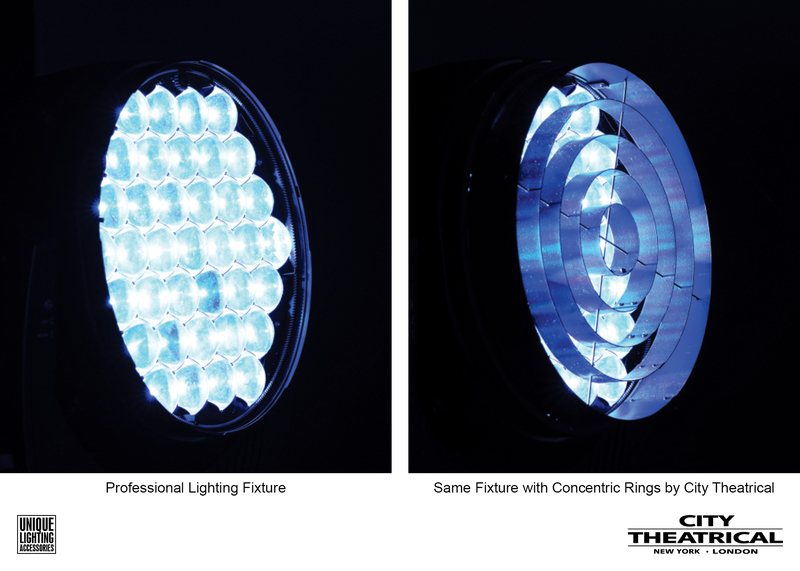 Concentric Rings also provide a "Svoboda-like" style when used on lighting fixtures that are in view of the audience, and present a deeply theatrical feel. PAR 64 Concentric Ring 10"